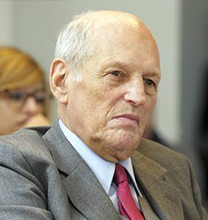 Baron Alain Philippson has served as the Chairperson of CEJI since 1993. He is founder and Chairman of the Marie and Alain Philippson Foundation, stimulating sustainable human development in Subsaharan Africa, and Director and Honorary Chairman of the Banque Degroof Petercam. Baron Philippson is a dedicated philanthropist who takes pride as a “supporter of talent”. Ms. Evens is a leader in the fields of international business and philanthropy. As President of the Evens Foundation, she has worked to promote diversity, respect and tolerance in Europe by providing grants, organizing conferences, and recognizing worthy initiatives in culture and education. The Evens Foundation awards Prizes for Intercultural Education which is a project deemed to have made an outstanding contribution to European social integration in the field of intercultural education. Ms. Evens became President of G. Evens Diamonds N.V. in 1996, having worked with the company since 1990. Ms. Evens began a previous career in real-estate by starting a business in Paris dealing with property acquisition, renovation and resale. 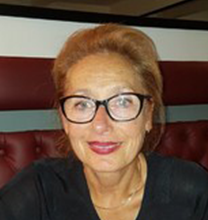 She has carried on real-estate investments internationally in places such as Belgium and France, and since 1997 has been manager of several real-estate companies and holdings in France. Before entering the business world, Ms. Evens worked in the arts. She trained at New York University’s cinema department from 1975-1977 and then worked as an assistant to a producer. From 1981-1985 she worked as a director of documentaries and video-art in Paris and Belgium. Ronny Naftaniel is the director of the Centrum Informatie en Documentatie Israël (Center for Information and Documentation Israel) (CIDI), in The Hague, The Netherlands. 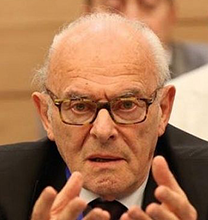 The son of a German Jew who survived the Holocaust in the Netherlands after already having fled Nazi Germany in the aftermath of the Kristallnacht in 1938, Naftaniel became director of CIDI in 1980. Since then he has become a well-known figure, both within as well as outside the Dutch Jewish community. Eventually, during his 26 years as director, he became the face of CIDI. Under Naftaniel, CIDI has expanded its remit to monitoring anti-Semitism in the Netherlands as well as challenging criticism of Israel. 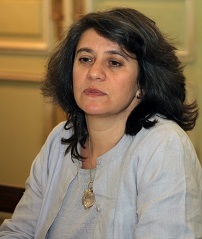 Naftaniel is a member of the Dutch Labour Party. 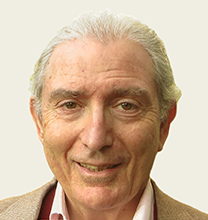 Daniel Kropf is the Founding Chair of the Universal Education Foundation (UEF), and is currently the Executive Vice Chair. UEF is the convener of the Learning for Well-being Consortium www.learningforwellbeing.org in Europe and is an active member of the Alliance for Childhood European Network Group ‪www.allianceforchildhood.eu. UEF is also the convener of the Elham partnership in Palestine www.Elham.ps .The vision of the Consortium is “Inclusive societies where children and young people are respected as competent partners and learn to realize their unique potential“. The partners each in its own way are promoting the Learning for Well-being Charter across sectors, developing the Learning for Well-being Institute focused on the cultivation research and monitoring of core capacities and supporting National “Elhams” initiatives As a healthcare entrepreneur, Daniel has always pursued a deeper understanding of human functioning through diverse approaches encompassing tools and methodologies from the Western and Eastern cultures. 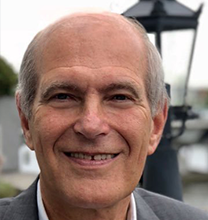 He has established, chaired or directed several healthcare businesses ranging from biofeedback and cognitive behavioral therapy to tools for genetic diagnostics, cell therapy, glycol-protein mapping, finger printing and sequencing to medical devices. Daniel is the founder of Education for Life (www.education-for-life.org), a Dutch foundation dedicated to supporting the values, attitudes and behaviors of caring, responsibility and respect within the educational system in Israel. He is also a Board member of the Evens Foundation (www.evensfoundation.be) and serves as the Secretary-General of CEJI (www.ceji.org), which promotes diversity education within formal and informal settings as well as organizing dialogues among cultures and religions throughout Europe. Daniel is also on the board of EPTO (European Peer Trainers Organization – www.epto.org) and on the board of EIESP (European Institute for Education and Social Policy) (www.eiesp.org). Daniel is married with two young children. 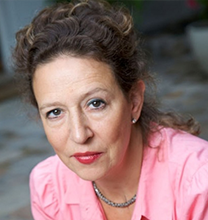 Karen Weisblatt, founder and principal, created the Paris based consulting firm Weisblatt & associés in 2005 to provide tailor-made strategic advising services to philanthropists and philanthropic institutions. The firm specializes in innovative strategic planning, program design, grant making and evaluation. Ms. Weisblatt has over two decades of high-level international experience working with senior management and CEOs in not-for-profit organizations and universities, including ten years as Director of Programs and Adjunct faculty member at Sciences Po Paris. Her expertise is in social entrepreneurship, inter-cultural dialogue, human rights, diversity, women’s rights and mission-based issues. Recent publications include UNTAPPED POTENTIAL: European Foundation Funding for Women and Girls with the Foundation Center (May 2011); Championing Diversity: Opportunities for the European Foundation Sector, European Foundation Centre, May 2009; and the chapter “Individual Giving, Collective Action” in The Power of giving: Philanthrocapitalism debated (edited by Tony Curzon Price and David Hayes), openDemocracy Collections, Volume 1, June 2009. Active in professional networks, Ms. Weisblatt is an Executive Board Member of CEJI – A Jewish Contribution to an Inclusive Europe and board member of the Agence Pour La Diversité Entrepreneuriale (ADIVE). 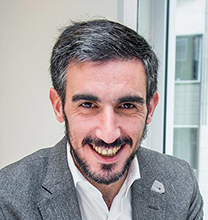 As an associate of global law firm Sidley, Yohan Benizri deals with international trade and competition matters, with a focus on the European Union market and the IT sector. Yohan advises on strategic legal questions with a view to reducing costs (by eliminating or reducing duties at the border), mitigating risks relating to export controls and economic sanctions, and opening new opportunities (through the negotiation, implementation and enforcement of free trade agreements, as well as legal advocacy initiatives). He is one of the few lawyers representing foreign governments in their dealings with the European Union. 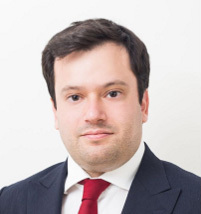 Yohan has notable experience in administrative and court proceedings involving the European institutions, and in particular the European Commission, having represented multinational companies in the context of landmark dumping, subsidy, antitrust and state aid cases, as well as infringement proceedings over the last decade. Yohan regularly publishes articles and speaks widely on all aspects of his practice and is a member of American Chamber of Commerce to the European Union and the International Association for the Protection of Intellectual Property. During World War II he was a hidden child in Brussels. In 1945, returning to his native Ostend, he went to primary and secondary school and later on studied Germanic languages (BA) and Semitic languages (BA, MA and Ph D.). His main languages being Biblical Hebrew, Accadian, Biblical Aramaic,Talmudic Aramaic, Ugaritic, Arabic and also a non-Semitic language, Indonesian. After a few years teaching on higher secondary level he continued his career at the Dutch-speaking Ghent University where he lectured until 2004. He also studied in Amsterdam, Jerusalem and in 1977 received a Fullbright-grant which brought him to California. During his tenure at Ghent University, he also taught at the French-speaking University of Liège. He has published approximately 120 monographies and articles on different aspects of his subjects. Although being retired in 2004, he was invited until 2011, to lecture on Judaism at the Faculty of Theology of the Catholic University of Leuven. He continued lecturing , on Biblical-Aramaic and Philological Analysis of Biblical Texts at the Institut d’ Etudes Juives of the Université Libre de Bruxelles and on Judaism at the Instituut voor Joodse Studies at the University of Antwerp, Belgium. He is also active within different, academical and non-academical, Jewish, inter-religious and inter-convictional organisations. Currently at the head of Concept & Research (CORE), a Brussels based consultancy specialising in European Affairs, Training and Communication, Lucyna has strong managerial and EU interest representation background as lobbyist, communicator and trainer. Prior to managing Concept & Research, she was Programme Director with Interel, a major Public Relations / Public Affairs agency in Brussels. Lucyna holds several community functions: she is member of Board of SEAP – the Society of European Affairs Practitioners and of CEJI (the Jewish Contribution to Inclusive Europe), and Memeber of the Executive Committee of the European Association for the Museum of the Jewish History in Poland. Lucyna has an MA degree in English and German, a BA in Slavic languages and teaching from the Université Libre de Bruxelles (ULB). Frederick Mocatta is Managing Director of the investment division of a Chinese industrial company. He previously worked in fund management and commodities, including at JP Morgan in Hong Kong and Singapore. Educated in England, he studied Chinese at Yale University (BA) and at National Taiwan University. 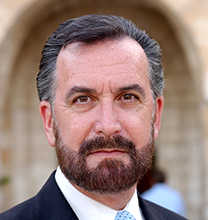 Rabbi David Rosen is International Director of Interreligious Affairs of AJC and its Heilbrunn Institute for International Interreligious Understanding. (see Bio). Former Chief Rabbi of Ireland and past Chairman of IJCIC, the International Jewish Committee on Interreligious Consultations (a broad-based coalition of Jewish organizations representing world Jewry to other religions), he is a co-president of the World Conference of Religions for Peace, Honorary President of the International Council of Christians and Jews, and serves on the Executive of the World Council of Religious Leaders. Rabbi Rosen received a papal Knighthood in 2005 for his contribution to Jewish-Catholic reconciliation and in 2010 he was made a CBE (Commander of the British Empire) by H.M. Queen Elizabeth II for his work promoting interfaith understanding and cooperation. 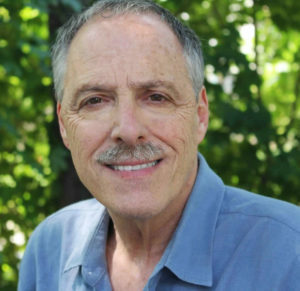 Harry Wall is an independent consultant, working mainly with non-profit organizations to improve their public relations strategy, relations with press, politicians and with Jewish communities. Prior to establishing his consulting firm, Harry Wall was a senior staff professional with the Anti-Defamation League. During a period spanning almost 20 years, he headed the ADL Israel Office and later was Associate Director for International Affairs. He also served as an advisor to the president of ADL, with particular emphasis on global issues. During his work with ADL and other NGOs, he has been actively involved in developing programs to monitor antisemitism, discrimination, and hate crimes. He has worked with Jewish and non-Jewish organizations to develop anti-racism programs, based on compiling data from various countries for the monitoring of hate crimes. He was a co-author of the first study, published by Tel-Aviv University’s Center for Monitoring Antisemitism, which was the basis of the Annual Survey of Global Antisemitism.